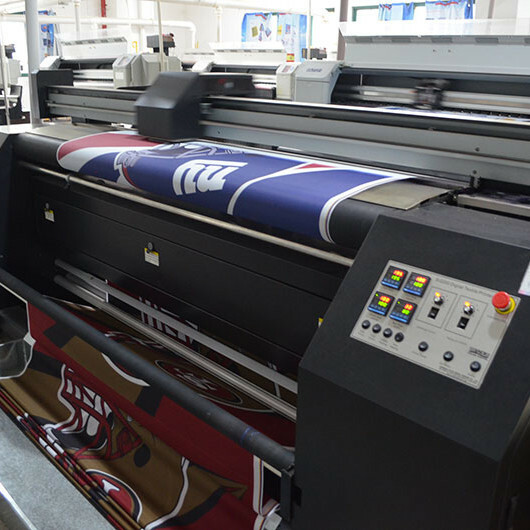 Screen printing by machine or hand and Digital print by digital imaging printing machine. Best for larger quantities most cost effective. No minimum quantity on custom flags. Ideal for small quantities (eg. 1 or 2 flags) and quick turn around time.